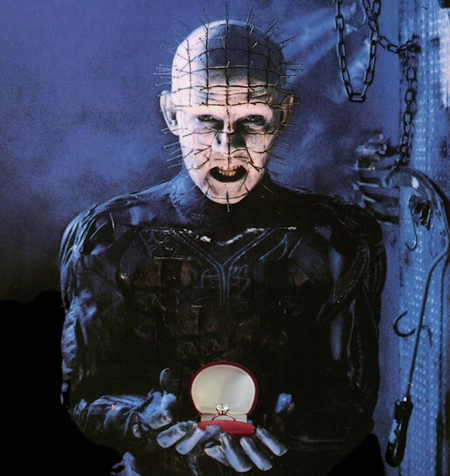 Pinhead is ready for commitment with this diamond engagement ring. 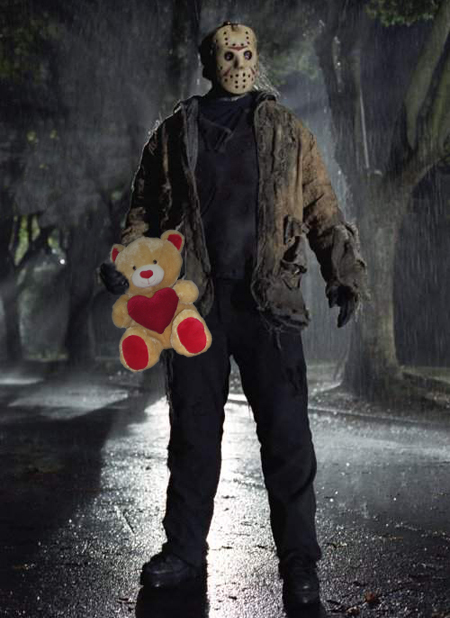 Jason Voorhees bought his special lady a teddy bear. 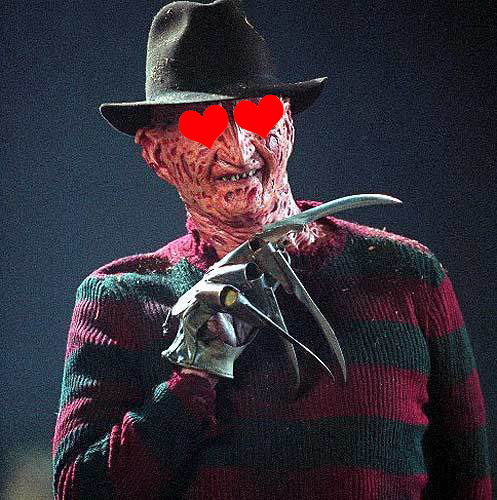 And Leatherface, like Freddy Krueger, gets loopy around the ladies. Although this one was the exception, a lot of the photoshop/illustrator stuff I do takes the most time… but it’s also most of the stuff that I have the most fun with. I got one word for this post: cute! 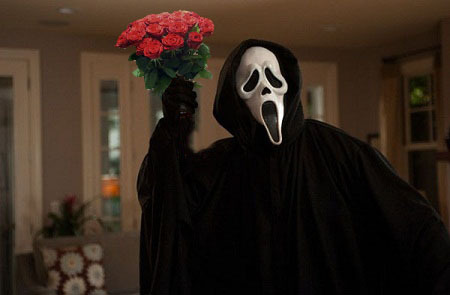 It is another kind of Valentine Day! It also gives more depth to those unidimensional characters! I will never watch those classics with the same eye… Thanks for bringing us smiles everyday John! 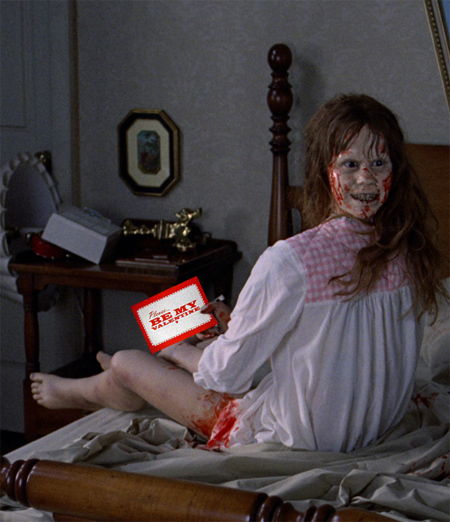 I can’t wait to watch Friday the 13th and wonder where the teddy bear is. this post was awesome. thanks! Ha, Pinhead proposing is priceless. Nicely done! 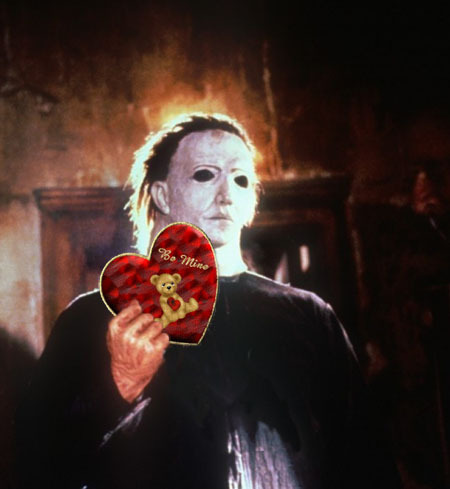 Pinhead with the engagement ring…the perfect complement to my Valentine’s Day post! I *heart* all of these — but Pinhead is my favorite. Ha… the only thing I messed up on Pinhead is that the engagement ring is HUGE. The girl he’s giving it to must have bratwursts for fingers. Awesome pics! 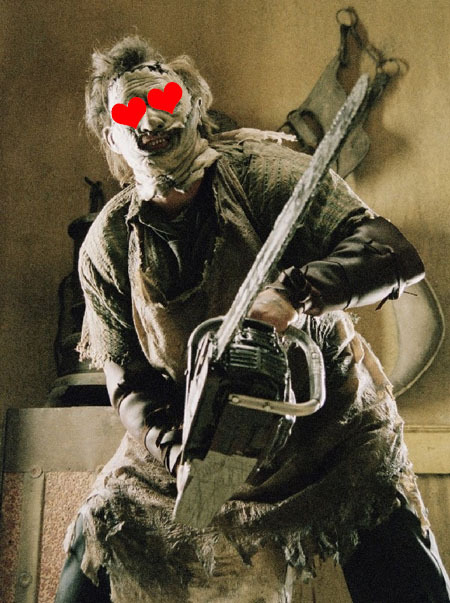 My favorite is Leatherface who simply can’t ditch his humongous chainsaw even for a date. “Don’t try to change Leatherface, baby”. I’d like that lovely lady that’s with Frankenstein. This is absolutely hysterical! 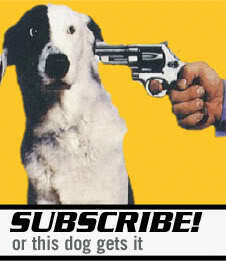 Another reason to love your site!